Peggle FINALLY announced for XBLA! In an interview with Talking About Games, PopCap Games officially announced that Peggle would be coming to the XBLA. 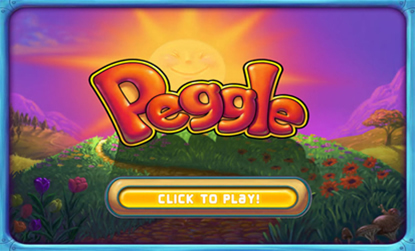 You remember Peggle, right? It’s that game that I confirmed was coming to Xbox Live on the 2nd day my site was open, clear back on January 4th? Other sites picked it up a few days after I broke the story, back in January, but it’s taken all this time to revamp the game, add some new multiplayer features and polish it up a bit. It’s going to be nearly an entirely new experience – and that’s exciting. So go read the interview, already! Posted in GamingTagged peggle, XBLALeave a Comment on Peggle FINALLY announced for XBLA!